Thank you for giving me the opportunity to visit and evaluate your site. I've completed the evaluation for Access Risk and am pleased to offer you the Web Elegance Gold Award. I love your new layout. It's easy on the eyes and a delight to surf around your web site. Our awards are not easy to win as the winners list will confirm. You are to be congratulated on your efforts. Sincerely, Don Pressgrove. 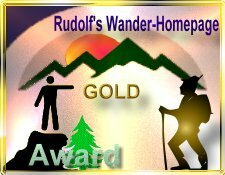 I have visited Your site http://www.assessrisk.com three times and I decided, that you have earned my Rudolfs Wander-Award in Gold. You earned 95 points for Your page. This is my award in gold. You have a great site. My gratulations. Have many pleasure with my award. Firstly please accept my sincerest apologies for the major delay in notifying you about your award application. I have experienced severe problems here both with my PC and other matters. I have listed your site as winning the award in the month of January 05. Congratulations, Your site has been successful in gaining the Ruth's Haven Gold Award. Laudation Hi Wendy, we at Ruth's Haven found your site to be very well done. Your copyright, privacy and ethics statements are top notch. Your site clearly shows the amount of hard work you have put into creating it.